It's that time when I get to gush on my kiddo and try to remember all my favorite little things about him at age 3. We are already a month into 3, and I am loving it. He's matured recently. His body is thinning out, aside from those sweet kissable cheeks he still carries around. He no longer resembles that chunky baby he once was. He has the darkest brown eyes, and the straightest blond hair. When he wants an answer to any question quickly, he follows it with "yes or no?". He often asks the same thing over & over, even when we respond the first, second, third time, always double checking that the answer stays the same. He's our funny one! He's personable. He has this wild imagination. He loves making up his own stories and never stops talking. Ever. We log many hours in the car, and he talks the whole time. Occasionally he may read through books or bring a few toys and come up with some game with them. But mostly talking. I always used to describe him as my brute. My bruiser. My little football player just waiting for the day that he could light up some kids on the field. And he definitely still has that side of him. But just recently, we have started to see this pure, sensitive side to him. He cried his way through the Lion King when Mufasa died. Huge tears, streaming down his face and full-on buried his head in dad's chest. He cried when he saw a tortoise at the zoo being a big bully and pushing another tortoise into the water. He notices other's feelings. He shows empathy. He's a huge snuggler and is such an affectionate boy. Learning about this new tender side of him has been a joy. His emotions are as big as his strong little heart. He has settled into his role as a middle child quite nicely. He has the personality to pull it off and will never get lost in the shuffle. He has learned his place on the sidelines at all of big brother's sports, but is anxiously waiting for the day he too gets to play. He wants to keep up with Liam. Hates being left behind. And is so fiercely independent. He loves helping in the kitchen or with projects around the house. Finn always wants to join in on errands, or crash anyone's shower. He has the biggest sweet tooth and thinks every meal should end with dessert. He asks for treats all day and truly makes life decisions based on whether or not it will result in a treat. His current favorite song is Hallelujah. He asks us to play it almost daily. And his sweet voice singing it just makes me melt. He's more than ready to start swim lessons this summer, and then preschool in the fall. He wants to grow up far more quickly than I am prepared for. 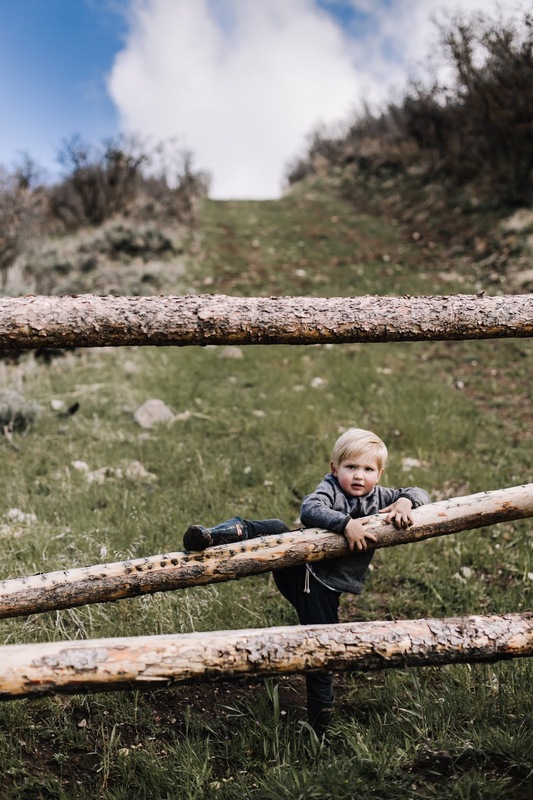 He loves hiking, trail riding on his balance bike, and just generally being outside. The endurance and stamina on this kid amazes me. He has a love for birds, which is an interest we have truly fostered over the past month. Our house has 4 bird feeders which he helps to refill. We have multiple bird books around the house, that he often carries room to room and puts under his pillow when he sleeps. They are grabbed at a moment's notice to identify any new birds spotted. I hope this love of birds will continue to grow, because it is such a sweet hobby. Finny is such a joy in our life. He's still crazy stubborn and is quite the handful at times, but he brings such a crazy, wonderful dynamic to our family. 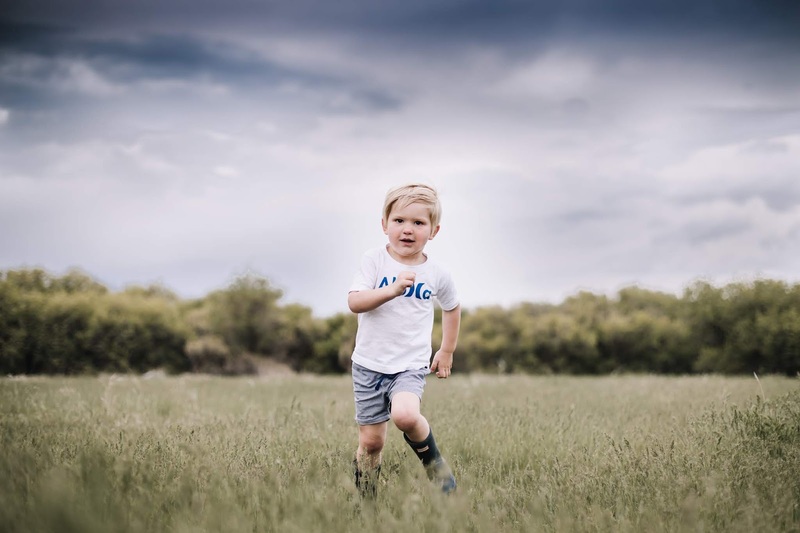 We cannot wait to watch him grow and change and continue to just be so very him! Happiest of birthdays to you Finn!